Perimeter control systems consist of fence lines, perimeters inside and outside any facility. These systems can be installed on chain link fences, on top of rock or brick walls, secure side of gates. Inside facilities can be set up with transmitters on employees and receivers mounted in ceilings that have audio and/or cameras that are wired back to designated points for monitoring of a mapped facility. There are several different ways to design these systems to custom fit any environment. Fayette Electric Service is built on satisfaction of all customers with quality design, installation, and service. Fayette Electric is an industry leader in the installation and maintenance of underground medium voltage transmission cable and distribution infrastructure for electric utilities. Safety is our number one priority in all our work practices and PPE/fire retardant clothing is furnished to all employees to ensure a safe work environment. The communities we support are enhanced by our services because we employ the most highly trained staff in the industry and provide the maximum level of quality and customer service as characterized by our teamwork, fairness and respect. We hold ourselves and each other to the highest standards of honesty and integrity in all our relationships and business transactions. Every employee is a critical member of our team and our continued goal is to empower a diverse, motivated, and high quality workforce by providing them with competitive wages and benefits, steady work, and the tools they need to succeed. Generator sizes from 10kw to Parallel 3000kw. Closed Circuit Television offers a unique solution for protecting customers, coworkers, and employees. No other form of electronic surveillance provides real-time monitoring of situations both at location and remotely, while at the same time providing indisputable documentation of an event. From serving as a visual deterrent to crime, to helping customers feel more secure, to giving managers, and security professionals the tools they need for dealing with shoplifting, liability, and possible employee theft problems, CCTV offers the most practical and cost-effective solution available. As a contractor Fayette Electric Service is here to provide you the customer with quality workmanship, certified technicians, and a service team that stays on call 24hrs a day 7 days a week. It differs from broadcast television in that the signal is not openly transmitted, though it may employ point to point wireless links. CCTV is often used for surveillance in areas that may need monitoring such as banks, casinos, airports, military installations, and convenience stores. In industrial plants, CCTV equipment may be used to observe parts of a process from a central control room; when, for example, the environment is not suitable for humans. CCTV systems may operate continuously or only as required to monitor a particular event. A more advanced form of CCTV, utilizing Digital Video Recorders (DVRs), provides recording for possibly many years, with a variety of quality and performance options and extra features (such as motion-detection and email alerts). Offer real performance video which can be used for training and efficiency assessments. Access control systems today are made to secure large or small facilities as well as manage time. Employers can use access control to monitor employee traffic in and out of any door primarily used during shift change. Access control can also be used to keep people out of certain areas such as computer rooms, front offices, etc. Our access control systems can be integrated with nearly any system we have to offer such as fire alarm, CCTV, digital imaging, intrusion systems, and employee information, etc. We can do a demonstration of each, so our customers are able to make an informed decision. In today’s world everyone wants to feel secure at home, work, in transit to and from work, and even during playtime. Here at Fayette Electrical Service we have a variety of systems to fit the needs of anyone who wishes to secure their possessions. We can also provide monitoring of any system 24hrs 7 days a week. With over 40 years of combined experience in the access control industry, Fayette Electrical Service has the expertise to design and engineer even the most complicated access control systems. Our specialties include commercial grade surveillance camera and DVR systems, gate operators, telephone entry systems, intrusion detection systems, access control equipment such as keypad entry, biometrics, proximity and smart cards. Further, we are also capable of meeting your physical security needs, such as fencing and other barriers to secure your premises. Security needs are higher than ever before. Fayette Electrical Service can design and implement turnkey access control, provide state-of-the-art video surveillance and integrate access control to protect your property, and energy cost. Proximity Card Readers: Proximity readers allow card holders to be issued security clearance on a per door basis by time of day, or day of week. Smart Cards: Smart cards are both a proximity card for door access, and can also interface with cashless vending machines or other compatible devices that may need to store account and balance information on the card. Swipe Cards: Many existing systems use access door swipe card technologies such as magnetic stripe. While proximity and other newer reader technologies offer greater convenience and flexibility, swipe technology is widely recognized, and a low cost solution. Knowledge Based Keypads (PIN Entry): PIN entry provides a simple and economical access method that works well for single door applications. PIN entry can also be combined with other access technologies as a 2nd layer of protection against stolen cards or stolen ID data. Long Range Readers: Readers with a range of up to 18″ are ideal for parking control and other custom applications. Door Release with Intercom: An intercom (audio or video) and door release between the front door/gate and the security guard or reception provides visitor access control. Programmable User Access: User access levels can be changed or removed at any time, eliminating the risks and hassles that are inherent with keyed systems. Biometrics: Fingerprint readers and iris scanners eliminate the need to carry security cards. Not only is this more convenient, but it eliminates the possibility that a card can be lost or stolen and used to gain access. Entry Logging: User entries and exits are logged in the system which provides a powerful reference tool. Integrated Systems: The access control system can be integrated with other communication systems. For example, a CCTV camera can be linked to a door access so that it will record video and register an event each time a door is opened (or even just for certain user levels). A phone system can be linked to the intercom and door release so that the visitor access door can be opened from a system telephone. Push-button Combination and PIN entry: PIN entry can be used to control visitor access, as a simple and economical stand alone system, or in combination with other access technologies as a safeguard against lost cards or stolen encryption keys. At Fayette Electrical Services we provide a wide range of services, including both inside and outside plant applications. We have a BICSI RCDD (Registered Communications Distribution Designer) on staff and qualified technicians that are BICSI certified as well as certified on a wide range of products. This helps us provide a quality installation to our customers every time. The telecommunications industry is constantly improving and we are committed to offering you the most up to date products and technology. Our technicians are qualified to handle the oldest up through the newest (gigaspeed) data cabling available. Voice cabling is changing every day, many companies are moving toward voice over IP. Our technicians are qualified to handle CAT 3 station cable (including multipair counts for backbone purposes) up to voice over IP. In the past fiber was only used for long distances, and backbone connections, but with the increase in speed demands it is becoming more common for the desktop. Our technicians are certified to install a variety of options including fiber to the desktop, and building to building, single mode or multi-mode. Here at Fayette Electrical Service we pride ourselves in being a qualified full service contractor. Fayette Electrical Service is a regional data contractor and network systems integrator specializing in fiber optic cable installation. With offices in Lexington, Kentucky, we provide a team of fiber optic cable installers & network integration & system integration professionals that can be mobilized anytime. Fayette Electrical Service can provide fiber optic cabling services at competitive rates- we will work with you to offer your company competitive rates without compromising on quality. Underground loose tube fiber optic cable. Fayette Electrical Service specializes in all areas of both OSP fiber optic cable and underground fiber cable. Fayette Electrical Service also offers the ability to tie in the fiber optic cable installations to the Network Integration side of your cable plant through the use of fiber optic patch panels, fiber optic transceivers or fiber optic multiplexes that migrate the fiber optic light signals into recognizable data streams for copper based switches. Fayette Electrical Service offers you design- build services at comparable rates. Our network integration specialists are supported by experienced teams of project administrators, project managers, and experienced technicians who are ready to handle any network installation project, large or small. Our fiber optic certifications, experience in fiber optics installation, technologies and standards are key factors in our success in fiber network solutions. Fayette Electrical Service can deliver the best solution your application needs, now and in the future. Digital surveillance provides real-time monitoring of situations both at location and remotely, while at the same time providing indisputable documentation of an event. From serving as a visual deterrent to crime, to helping customers feel more secure, to giving managers, and security professionals the tools they need for dealing with shoplifting, liability, and possible employee theft problems, CCTV offers the most practical and cost-effective solution available. 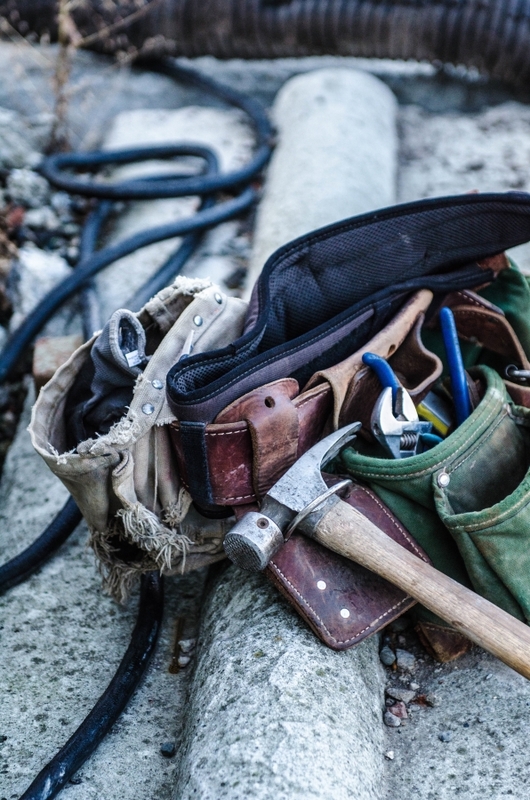 As a contractor Fayette Electrical Service is here to provide you the customer with quality workmanship, certified technicians, and a service team that stays on call 24hrs a day 7 days a week. Perimeter control systems consist of fence lines, perimeters inside and outside any facility. These systems can be installed on chain link fences, on top of rock or brick walls, secure side of gates. Inside facilities can be set up with transmitters on employees and receivers mounted in ceilings that have audio and/or cameras that are wired back to designated points for monitoring of a mapped facility. There are several different ways to design these systems to custom fit any environment. Fayette Electrical Service is built on satisfaction of all customers with quality design, installation, and service. Contact Brandon Kiser for bid information. Because of our growth and success, we are able to provide a complete list of electrical services; underground and electrical distribution systems, emergency power generation, tenant office finishes, indoor and outdoor lighting systems, dimming and theatrical lighting, fire alarm and security protection systems, fiber optics, computer network wiring communication systems and much more. We can provide the electrical design and installation services you need. When it comes to handling the changes of commercial and retail projects, Fayette Electrical Service is working our way to the top. Whether it is plan and spec or design/build, FES is among the top in completing project on schedule and within budget. Our experienced and innovative techniques allow us to offer customers the most cost-effective solutions available. We are qualified and capable of tackling renovation projects, office buildings, schools, shopping centers, and health care facilities. Whether it is a historic restorations or new building construction, you can depend on FES to do the job right. We offer extensive knowledge and understanding of outdoor lighting and its influence on safety. Upgrading your lighting and cutting your energy use is good for your bottom line, lower electricity usage throughout facility, reduce maintenance costs, and reduce your carbon footprint. This approach truly allows a full service quality contractor to shine. In addition to the advantages of the negotiated method, the contractor provides or controls the design responsibilities. In this way, the contractor who is selected because of his abilities, reputation, and quality can offer the full advantages of his experience and knowledge in the design. Substantial time savings can be realized even while foundations are underway and interior finishes and design are being completed. This is referred to as “Fast Tracking” a project. The ‘Design-Build Method’ also provides the owner with a single source of responsibility for a quality, completed-on-time project. This adds up to less risk and more peace of mind for both the owner and the ‘Design-Build Contractor’. Fayette Electrical Services can help you upgrade your current LAN for greater bandwidth and reliability or Design and install a new LAN in a new facility. Fayette Electrical Services can Implement the Latest technologies, such as gigabit Ethernet. We have experience with switches and routers from Cisco, Nortel and others. If hardware computer support is something you require, then our team is well equipped to handle those needs. We will work with you on making the most sensible solution to solving your computer problems. Make sure your server and mission-critical equipment never loses power. We can work with or obtain ANY BRAND! One of the main advantages of having an intercom system is the ability to page people anywhere in a building. Other features include paging only certain areas and playing music over the intercom. We offer service and installation of paging/intercom systems that can streamline your business productivity and add to the quality of your work environment.